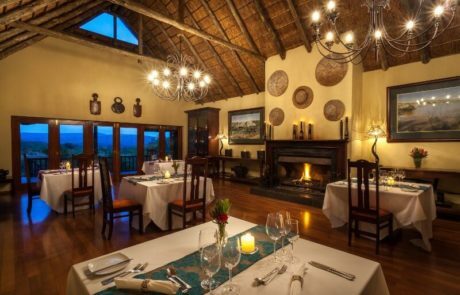 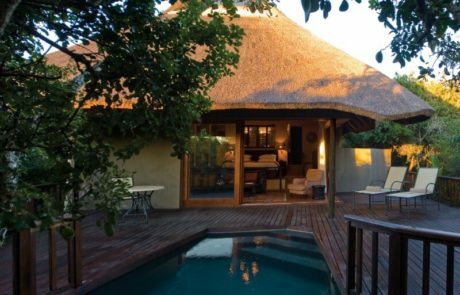 The main lodge at Kichaka is constructed in stone and thatch which blends seamlessly with the surrounding landscape. It overlooks a large water hole popular with hippo, giraffe, elephant and countless other game. 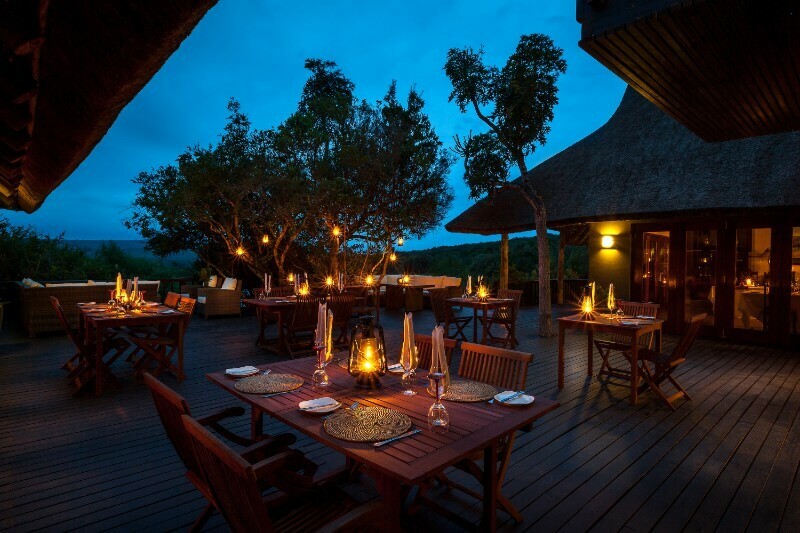 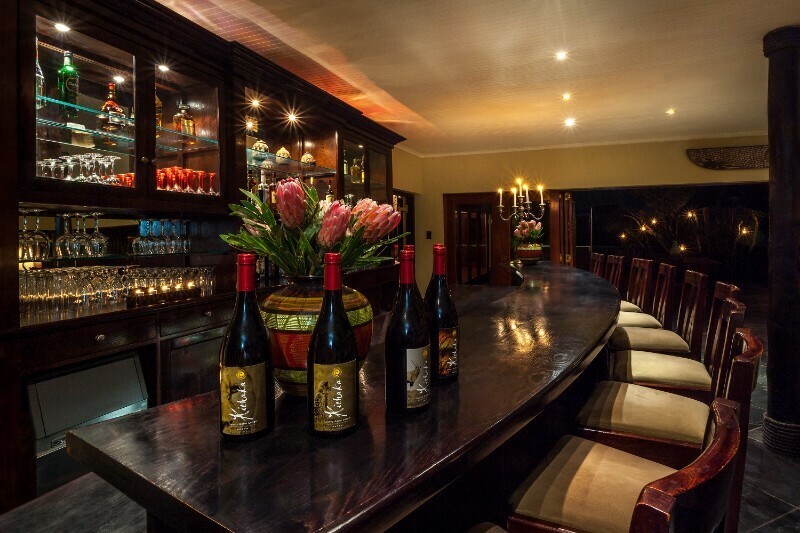 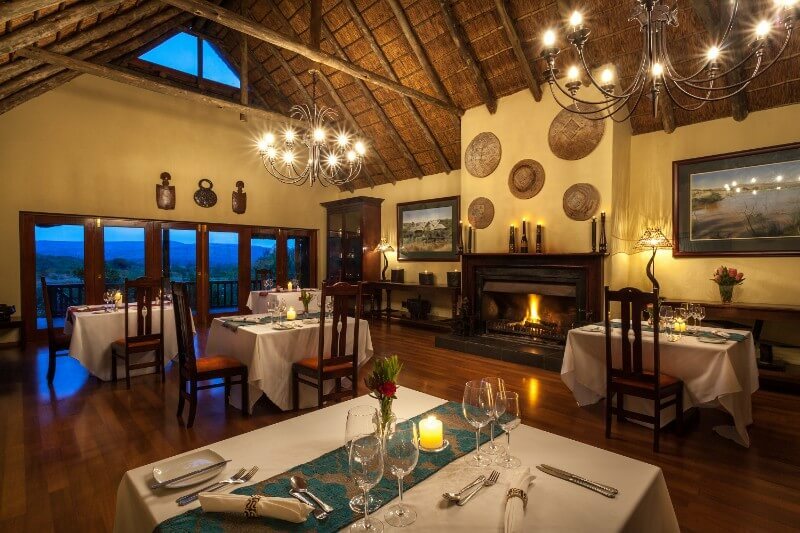 The lounge and dining areas have been constructed to give the best possible aspect over unspoilt bush. 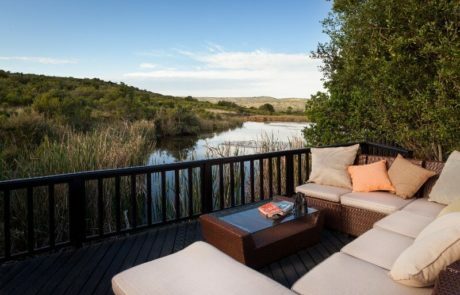 Large terraces stretch over the waterhole & provide a magnificent viewing deck. The terrace also extends into a small island creating an enchanting outdoor dining area. 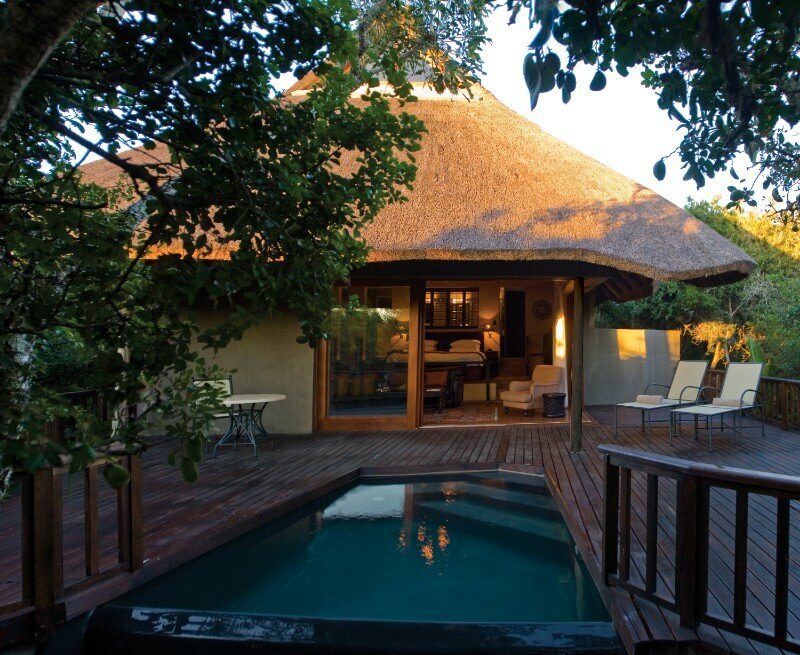 Above the lounge is a library which also overlooks the waterhole. 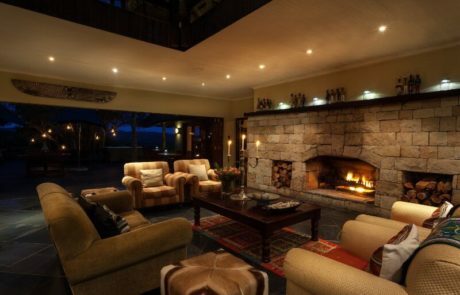 This room provides a quiet place to curl up with your favorite book or catch your favourite sporting events on the TV. 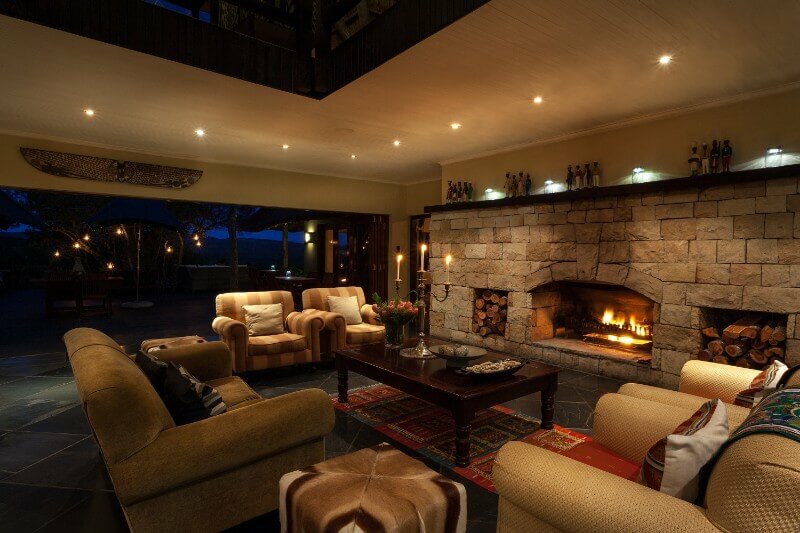 Complimentary WIFI is available in the main lodge as well as in the suites. 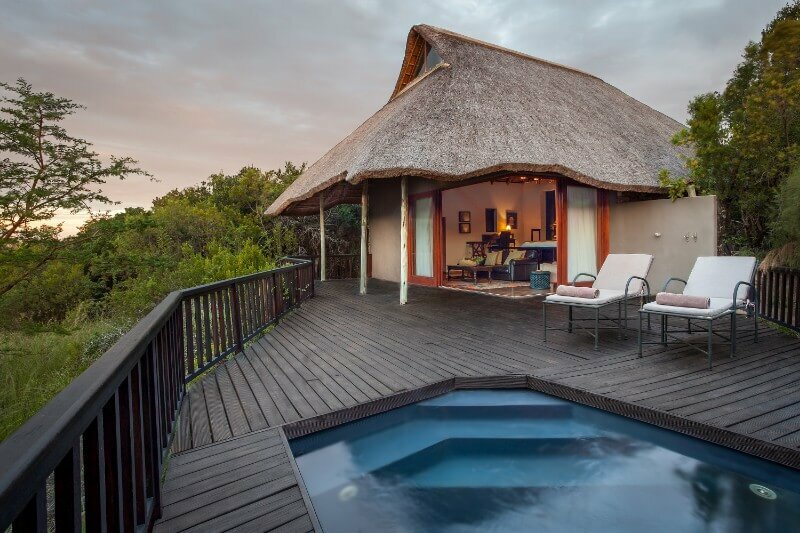 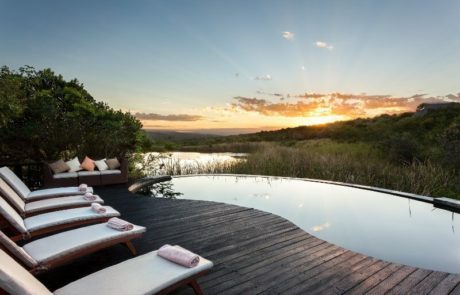 A rim-flow swimming pool adjacent to the waterhole is perfectly placed and makes an ideal place to enjoy sun, cocktails and to admire the glorious views. 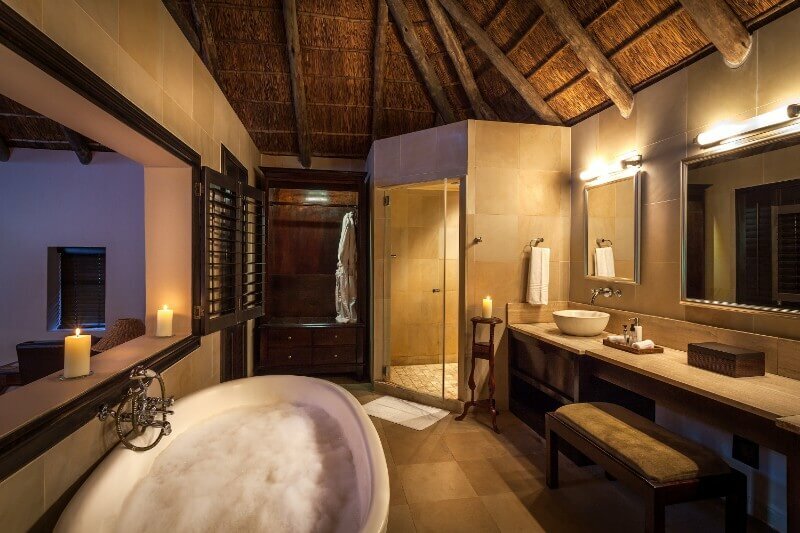 The 10 suites at Kichaka all have private plunge pools, baths, showers as well as “his & hers” basins. 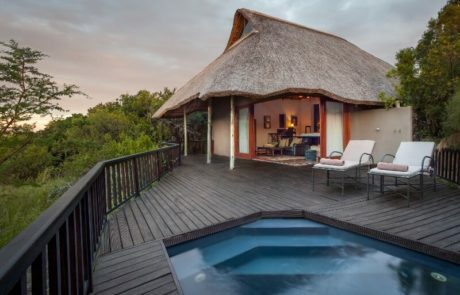 They have been perfectly positioned to maximise the sense of being in the bush. 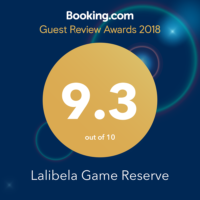 Add me to the Lalibela Game Reserve mailing list.